Over at Kirby Larson’s today talking about my latest books! When I opened the package I got in the mail a couple weeks ago and saw my latest children’s books, I was excited. I wrote the books in 2011 and was seeing them for the first time, two years later. Even though my kids weren’t jumping up and down shouting, “Mommy! Your books!” like they used to (they’re 12 and 14 now and barely noticed when I got the package), I still had that feeling of joy that comes from seeing your ideas and hard work turn into something you can actually touch and feel. To be honest, as I sat there leafing through the pages, I felt like I was reading my own words for the first time. Of course I remembered the stories, but because I’d written these books two years ago, reading the words again (and seeing the illustrations for the first time) was a fun process of discovery. 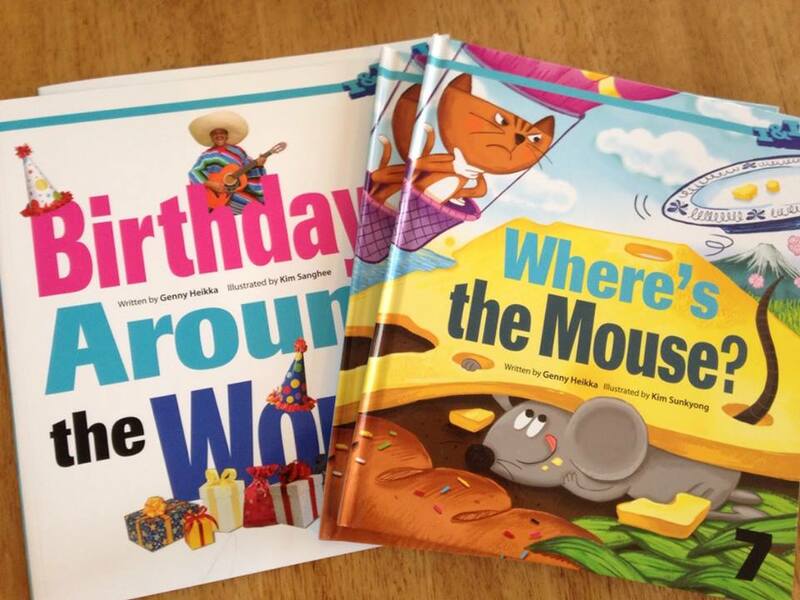 I wrote both of these picture books–Where’s the Mouse? and Birthdays Around the World–for Tun Tun, a publisher in Korea that creates books to help children learn English as a second language… READ MORE over at Kirby Larson’s blog (who, by the way, happens to be a Newbery Award Winning Author, and who also is the one who inspired me so much in my writing journey several years ago!). Don’t miss visiting her beautiful site! 2 Comments on Over at Kirby Larson’s today talking about my latest books! Congratulations Jenny! It is so exciting to see your dreams come true. I am very proud of you. Keep writing as God directs you. So nice to hear from you, Wendy! Thank you for your sweet words! :) I hope you are all doing well!